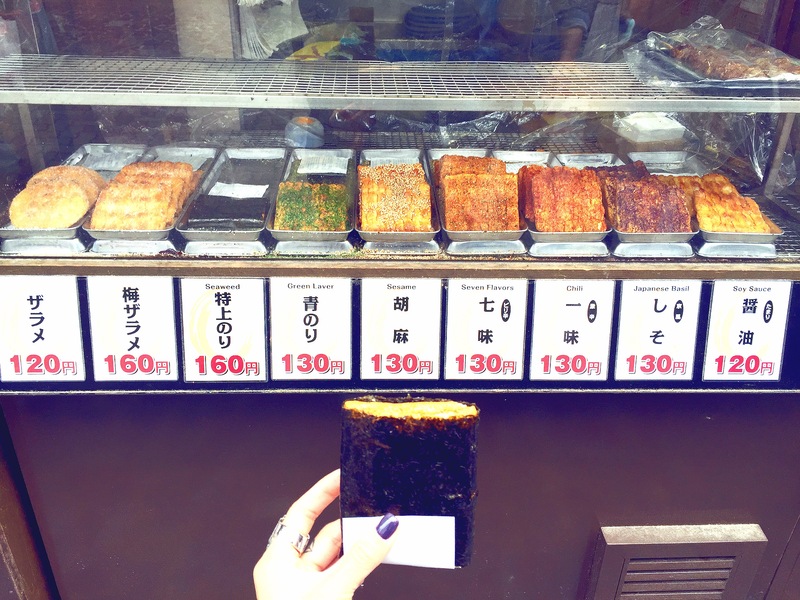 Nakatanidou is so well-known because of their dramatic and laborious producing process of their glutinous rice cake mochi – by dramatically kneading💥 the rice doughs in a wooden mortar pounded with wooden mallets until it’s completely mixed and smoothened, manually. They also offer the performance of the process, a spontaneously high-speed show of beating them mochis into smooth & softy mass which totally made traditions came alive. 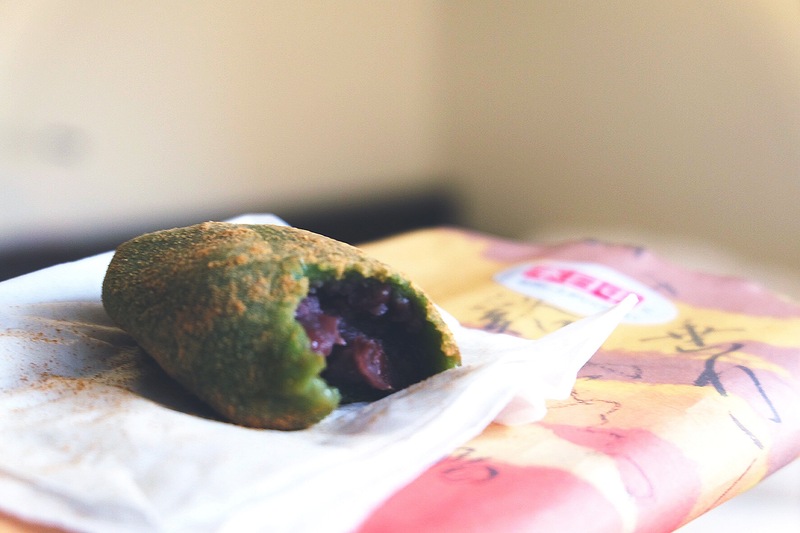 I love them mochis, it’s naturally green and filled with anko sweet bean paste, And lastly covered with kinako soybean flour. I had daifuku mochis before in Hong Kong & never liked them ’cause I don’t like the purely overwhelmed sweetness; but for the nakatanidou ones I just couldn’t stop eating.. They’re surprisingly not over-sweetened! For the Crispy Rice Biscuits, are salty instead, appeared in a flat outlook wrapped by seaweeds(or other ingredients), tastes & textures are totally different from the mentioned. Posted in Eat, Eateries, Food, Japan, Lifestyle, Nara, Osaka, Travel and tagged cakes, daifuku, dessert, feasting, Food, Food Art, foodies, Go Green, JapanEats, Japanese, Nara, Nomsohard, Travel. Bookmark the permalink.